Blog Author Blake R. -Luke Roofing does what is promised and on time! Expert Orange County roof repair and roof craftsmanship at affordable prices. Chances are that your roof takes up quite a bit of the overall square footage of the outside of your home. In fact, it could be up to half of what people see when they pull up on the curb, depending on the design of your roof. So one of the simplest ways to add curb appeal to your home is to add some appeal to your roof. There are plenty of ways to do this, including upgrading to a tile or slate roofing option, or choosing a roof in a unique color. But one of the best options for upgrading the look of your roof is to talk to your Orange County roofing contractor about architectural shingles. Architectural roofing shingles are basically enhanced traditional asphalt shingles. CertainTeed makes a variety of options, as do other companies. These are higher-quality tiles with a flair for drama. Sometimes the shingles come in gradations of color, for a more interesting look, or they may even be designed to look like tiles, with shading that makes them seem to pop out. Most of the time, architectural shingles are thicker than your average asphalt shingles. They are laminated to provide dramatic shadows and look more natural - like cedar shake shingles or asphalt. They look great on dramatic rooflines, but they’re also nice for dressing up average, standard rooflines. Typically, the top layer of an architectural shingle is a mineral granule, which adds more texture and can add color to the shingle. Of course, you’ll get plenty of color options with these high-quality shingles - from green to red to traditional gray or black. Actually, these thicker, higher-quality shingles can be good for more than just curb appeal. They can also help your roof remain cooler in our hot climate. Certain types of these shingles, especially light-colored options - deflect more light, allowing your roof and attic to stay cooler. These shingles also can add more air-flow to your roof, since they’re thicker. In this way, they can work similarly to clay tiles, which are great for adding extra insulation to your roof. Unlike heavy clay tile and slate roofing materials, architectural shingles aren’t usually so heavy that they require additional support. So they’re an easy replacement option if your roof is already shingled with asphalt shingles. They’ll also last a lot longer than conventional tiles, partly because they’re coated with special materials to be more resistant to UV rays, algae growth, and other potential issues. Of course, these are all great reasons to choose architectural shingles. But many homeowners choose them just because of the added curb appeal for a home. They can help you easily add more drama to the upper part of your home. 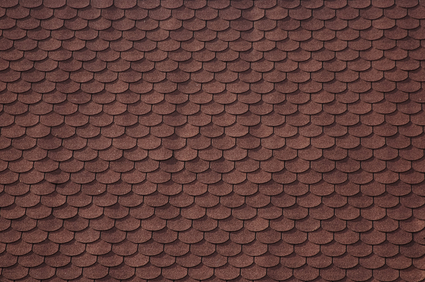 You can even create patterns with these types of shingles, though not every homeowner will choose to do this. The key to installing these interesting shingle options properly is to start with the right installer. First, you’ll want to ensure that your Orange County roofing contractor is licensed properly in general, and is also licensed by the roofing materials company to install its products. Architectural shingles can often come with 20 to 50 year warranties. But many manufacturers will only honor warranties if their products were installed by a specially-licensed professional. You’ll also want to try out different color options. You can actually check out roof design photos online. Find a photo of a home with a similar color to your own, and then look at different roofing materials with that color. Some manufacturers offer a roof design center, where you can change the color of a photo home’s roof and siding to get a feel for what colors you may want to use. When it comes to installing a roof like this, your materials will be more expensive. However, the added beauty can increase the value of your home. And the added warranty can ensure that you don’t have to keep spending to replace your roof every few years. If you’re looking for a great way to add visual appeal and drama to your home, while tackling a necessary project like replacing your roof, architectural shingles may be the best option for you. If you have any questions, be sure to reach out to Luke Roofing. A long-established Orange County roofer, we provide prompt, reliable expertise for every residential roofing need and situation. Wherever and whenever you need roofing services in Villa Park or anywhere else in OC, you definitely can count on Luke Roofing. Is Your Roof Right for Solar Energy? 5 Reasons to Call a Roofer Now! Blake R. is a valued member of the Luke Roofing blogging team of authors.